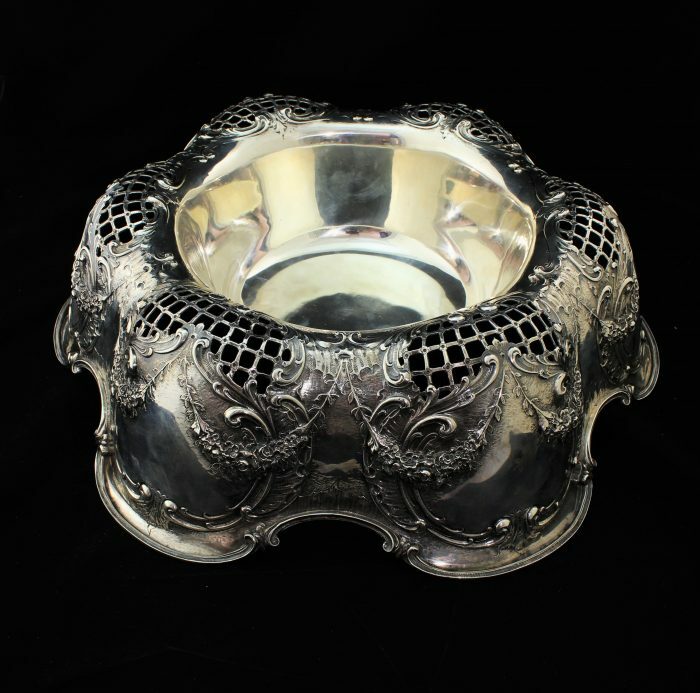 Rare Sterling Centerpiece by Frank Mauser MFG Co. Exquisite craftsmanship, pierced openwork with floral repousse design,round sterling centerpiece dish. This beautiful dishis in very good condition,no monograms. Note: The can in photo isto demonstrate the size ofdishand is not included with purchase.